We aren’t picky with the itinerary. Ever tried planning a vacation with a fellow human? It’s likely that you two (or however many) will go back and forth on the destination and itinerary. Can’t decide between Boston or San Diego? Or what to do when you guys get there? Well, perk up your ears now! Dogs aren’t picky with what they do or where they go as long as they get to be with you. 🙂 So WOOF, my tail wags to relaxing resort towns, bustling cosmopolitan metropolises, and even the middle-of-nowhere villages. We will make you feel safe. Now here’s a common scenario – You’re flustered after a delayed flight, which leads to a post-midnight landing at your final destination. After exchanging your few limited words in the local tongue with the cab driver, you’re dropped off a block or two from your hotel. As you walk on unfamiliar grounds in the middle of the night, you turn your head back constantly and hold tightly onto your belongings. ARF, no need to fear as your four-legged PAWSOME travel buddy is here! Even though I’m only a 7 lb. “toy” dog, I am the best guard dog; I’m quick to bark out anything “suspicious” and naturally jump in the front line to protect my humans. We aren’t shy to make friends. Besides devouring chops-licking food, the best part about traveling is meeting new people and dogs (sometimes cats), from fellow travelers to long-time residents. And yet these interactions create wonderful memories and even lasting friendships. We dogs are usually NOT afraid of breaking the ice with anyone, whether they are dogs or humans. As an alpha dog, I’ll walk up to any dog with an upright tail and sniff his behind. Even if your dog is more on the “shy” side, his mere presence will naturally draw attention from other dogs or dog-lovin’ passerby. Traveling can put you in a stressful environment as you’re outside of your comfort zone. When faced with obstacles throughout the journey (e.g. flight cancellations, potential scams, unfamiliar routes, etc. ), you and your human travel companion may feel some tension with each another and even engage in a few arguments. In order to best cope with unexpected high-stress situations, you need a travel buddy who is both adaptable and resilient. 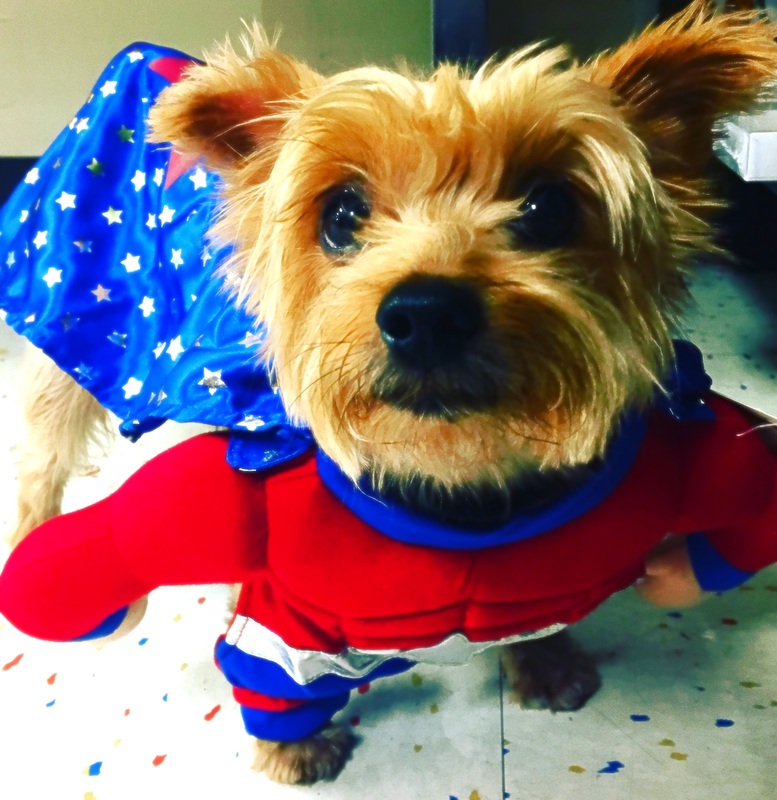 As a rescued yorkie who was surrendered twice, I can bark out that dogs are resilient creatures who can successfully adapt to changing environments. We are pretty good navigators. Nope, we don’t need any smartphone app to direct us where to go. Dogs are blessed with superb sensitive noses that make us inherently exceptional with directions. Our phenomenal sense of smell comes in handy whenever our humans are lost in foreign territory. I love utilizing my powerful wet nose to strategically find my way back home based on the scent of my own markings and paw pads. Ever traveled with someone who just complains all the time? Yep, we’ve all experienced it. No one likes complainers. Debbie Downers can easily put a damper on your highly-anticipated dream vacation. As you know, dogs aren’t complainers. We are generally content as long as our needs are taken care of (e.g. delicious food, clean water, comfy and warm bed, routine walks, and playtime). It’s easy to feel annoyed by your human travel buddy (with whom you now have to share common space and spend literally every second of the day – until the trip is over.) You may get annoyed by the most minuscule thing, such as not him forgetting to turn off the light in the room. Nonetheless, you’ll never feel annoyed with your precious furbaby. Not only will we not annoy you, but we will also provide comfort and tranquility on a strenuous travel day. Feel free to pet my beautiful silky fur to destress. We won’t hog the bathroom. Ready to make your furry best friend the most awesome travel buddy? I will bark out HOW! And, don’t forget to grab all your dog travel essentials HERE!